Gambling is a wonderful hobby that serves many people. Yet we cannot say that gambling is a hobby that’s fit for everyone. If you have problems with managing your gambling habit, you may have an addiction that needs further study. Don’t think that you’re all alone in this regard. There are literally millions of people suffering from a gambling addiction in some form. That is a great opportunity to move past it — after all, if you’re not the only person dealing with it, how can you honestly feel like it’s impossible to fight it? You have all of the power in the world to really get things done, when you think about it. There’s no need to feel like you have to suffer silently in the corner. 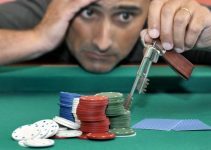 If you are truly concerned with getting past a gambling addiction, there are a few things that you absolutely must do in order to get things together. 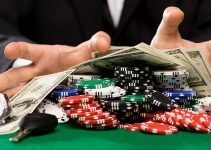 First and foremost, you need to make sure that you’re thinking about replacing the activity with something that gives you as much pleasure as gambling did. Sure, it’s always good to have free time, but when you’re fighting an active gambling addiction you don’t want to have too much free time. Keeping your day structured and routined is the best way to begin breaking the habit. You also want to get other people involved. Far too often people think that they can work through this on their own, but that’s not the case at all. You might need to join a support group, or get your family involved. If you have a serious problem with money, you need to have someone else managing your finances. Sometimes a friend will take care of this for you, while other family members may feel better qualified. Either way, now isn’t the time to think that you have to bear everything on your own. However, you do need to focus on the bigger picture as much as you possibly can. Sure, it’s never easy to realize that you have a long road ahead of you. However, if you really think about taking care of yourself first, you can get over it. Does this mean that you will never gamble again? Possibly. Everyone gambler is different when it comes to handling their addiction. Some people believe in short time pauses while they correct the underlying roots of gambling addiction. 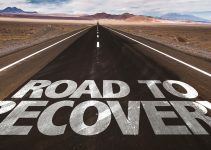 Other recovery specialists indicate that once you realize that you have a problem, you must stop completely and never go back to it. You just need to make sure that you consider every option that you have, slowly. Don’t rush this process at all. You might be tempted to rush because family may push you in that direction, but all this will trigger is another relapse. Pat yourself on the back for the type of progress that you’re making. Even if you do end up having a slight slip, it’s nothing that you can’t dust yourself off and keep going forward about…right? Right. It’s all up to you, but that’s a good thing. Once you take one hundred percent responsibility for something, it means that you have all of the power in the world to fix it. Good luck! Being Open About Your Gambling Addiction Is the Gateway to A New Life! Casino Policy Copyright © 2019.